Video is uploaded to our Streambox Live Server cluster. By having servers within our POP, it reduces the distance the video needs to travel, thereby increasing the efficiency of the service. As video is captured and sent to the Streambox Live Server, it is instantaneously available for live streaming or archived for later use or viewing. Once video is in the Streambox Live Server, it may be accessed, downloaded, and decoded by anyone within the same organisation or company as the user. The user can take advantage of the Streambox Live Management tools that give easy access to live and archived video content. This enables the ability to store files on the server to edit at a later time for a file-based workflow. Additionally; Streambox Live users can have unlimited accounts, enabling them with the capability to manage their users by creating accounts with three different access levels; administrator, operator, and contributor. This feature will allow organisations or companies to control who accesses their video content. The combination of free encoding and decoding software and the ability to send unlimited video streams to the server and be charged only for the BGAN airtime makes Streambox Live an incredibly cost-efficient solution. 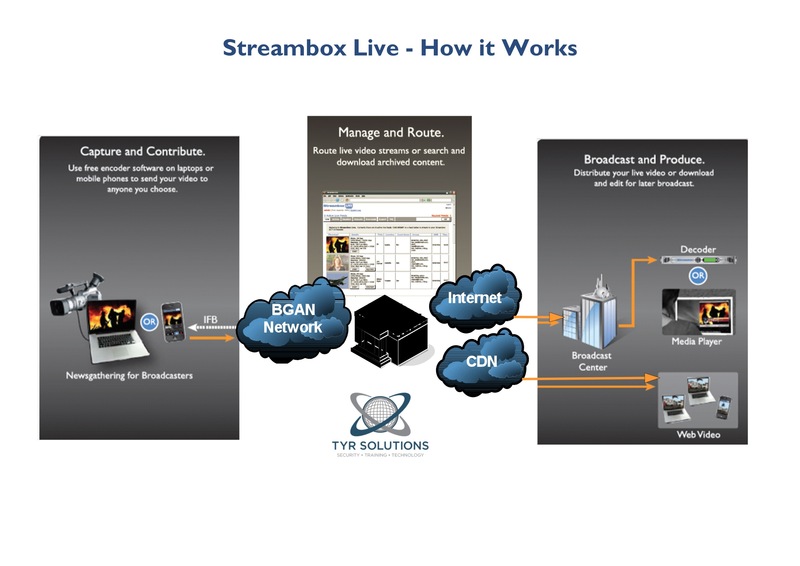 Along with mobility and flexibility, users will be able to integrate the Streambox Live service to supplement their current video broadcasting workflow. Streambox Live is an Inmarsat approved product over BGAN and has recently received an award from Inmarsat, details of which can be seen via the link below. If you’d like further information on Streambox Live or have any other questions, you can get in touch with us via the contact form, or call us on +44 (0)20 3239 5257.